This well-established, robust integration is one of the most advanced integrations to Fujifilm workflow products on the market. We have taken advantage of XMF specific technology to create an enhanced interface between Fujifilm XMF and Tharstern. 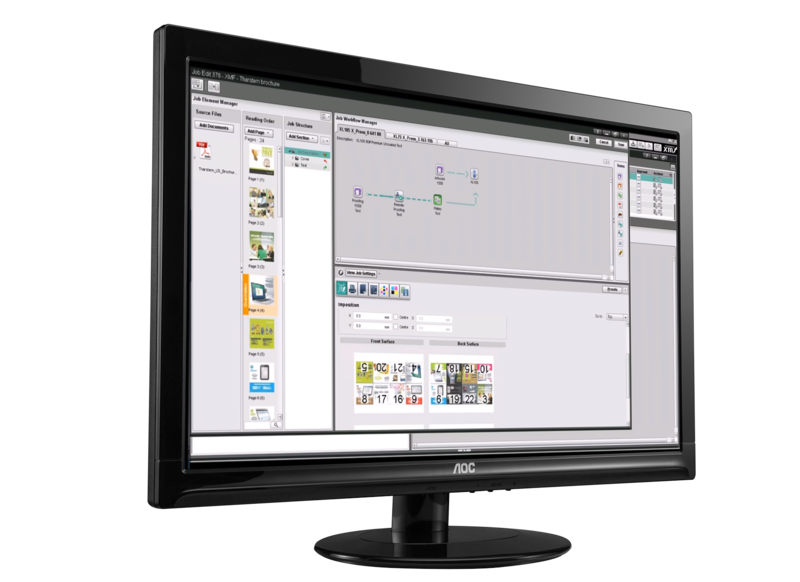 An MIS to prepress workflow integration - it allows you to create jobs, deliver imposition, take advantage of XMF specific workflow pre-setting and to update the MIS at key stages throughout production. As the value and run length of jobs continues to decrease, the proportion of time spent in prepress effectively increases relevant to the whole job. This integration allows you to automate the more mundane prepress tasks, freeing your staff up to focus on more complex work. Take a look at the XMF integration video.